Kyle Norton crashed into a school bus and a pregnant woman’s car after school let out on Friday. He left the scene of both accidents. Suffolk County Police have arrested a man for recklessly crashing his Chevy Trailblazer into a school bus full of children and a pregnant woman’s car. The incident took place on Friday afternoon in Brentwood. The man behind the wheel was 37-year-old Kyle Norton of East Islip. Norton, under the influence of alcohol, first crashed into the back of the bus after school let out at 3:34 p.m. Instead of stopping to see if the children were okay, he allegedly fled the scene of the accident. During Norton’s frantic escape he then slammed into a 2004 Mercury driven by a pregnant woman two minutes later. Norton once again left the scene of the accident without checking on the woman and her two children in the car. This second accident took place on Alkier Street and Gibson Avenue. Norton was finally caught when two samaritans followed him and called police. 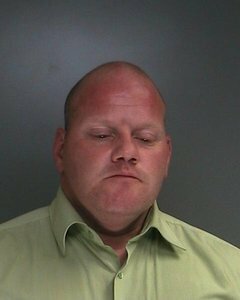 After his arrest Friday, Norton was charged with DWI, Leaving the Scene of an Accident, Aggravated Unlicensed of a Motor Vehicle in the 3rd Degree, and Criminal Possession of a Controlled Substance in the 7th Degree. Motor Carrier is currently conducting a safety check on the school bus. Subject: LongIsland.com - Your Name sent you Article details of "East Islip Man Crashes into School Bus and Vehicle Driven By Pregnant Woman; Fled Scene of Both Accidents"